"We Speak" is a new method for language education. A new conception for foreign language learning is used. Interactive multimedia means influence on the sensor system of the educated person. 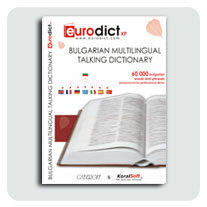 The updated dictionary EuroDict XP aims to be even more useful and user-friendly for operation and learning of foreign languages. The new feature, which changes dramatically the dictionary as known until now is that with one software the user may scroll an unlimited number of dictionaries or encyclopedic publications. Both the outlook and working regime of dictionary may be changed at any time and user has the option to choose his or her preferred interface. Through more sophisticated settings each user has the comfort to choose how to use more efficiently the product. Users may choose between standard translation and translation in pop-up window, which appears and disappears within a limited period of time in discreet manner. The product offers not only search of whole words, but as well of separate combinations of letters. In addition to well-known methods, improved and updated, is the memorizing tool. It shall help users to memorize words even when working on something else on the computer. Another option is the interactive tool, which helps users to create their own language or encyclopedic dictionaries and to present them to friends or colleagues, as well as to add new custom words to existing dictionaries, but saved in separate file in order to keep their mobility and identity. The translation of numbers into seven languages is another invaluable tool in learninging foreign languages. 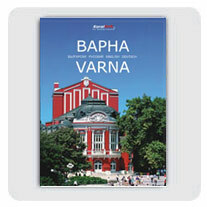 For more information for our products in English please visit our products page.